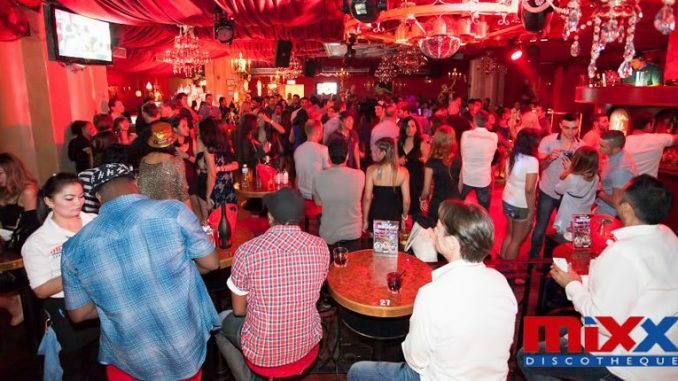 Part of walking street and the wider Pattaya drive to attract a more discerning clientele, Mixx discotheque Pattaya certainly fits the bill. Pattaya’s first truly international nightclub regularly attracts not only the hip and cool crowd from the city, but as far away as Bangkok. Mixx is regularly voted the best nightclub in Pattaya and for good reason, it really is a cut above the rest. Located right at the end of the strip near Bali Hai pier, it is a bit of a mission to get to, especially if you enter from the beach road end. But those of you that fight your way through the hustle and bustle of walking street will be richly rewarded with one of the best nights out in Pattaya. Mixx nightclub is actually made up of two separate clubs, Crystal Palace on the right and Club Rouge on the left. It has its own chic design and each caters for a different genre of music. The more popular Club Rouge is the first to fill up and is generally packed out not long after opening at 2100. Club rouge is for those that love the RnB vibe and the world class DJ’s will keep you going all night. Crystal Palace is dedicated to house and trance and like most clubs in this genre, doesn’t really get into full swing until after midnight. Entrance to both clubs is free and you are welcome to wander between the two as you so wish. A lot of folk will start the night in Club Rouge, before migrating to Crystal palace later into the night when it hots up. Both clubs have been expertly and meticulously planned and designed, and neither would look out of place in NYC or London. These really are super trendy places. Both boast amazing sound systems, international DJ’s and awesome visual effects provided by the multi million dollar lighting and laser rig. Which ever side you choose, you will be face with a decent dancing area, and plush seating around the sides. Each boasts the best podium dances in Pattaya by far. Drinks in here are expensive for Pattaya, but not over priced considering what you would pay elsewhere in the world in a similar establishment. As well as the usual beers, spirits and bottles, we urge you try the cocktails which are hand crafted by Mixx’s professional barman. There is a 2 for 1 happy hour every night from 2100 until 0100. Mixx is very popular among the Russian tourists, younger Europeans and the wealthy Bangkok kids. If you are serious about clubbing and quality is what your after then you simply have no choice other than to visit Mixx discotheque Pattaya.